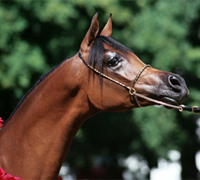 The Arabian Horse Breeders Alliance (the AHBA) is a non-profit organization dedicated to promoting the Arabian horse. This year marks the third year that the AHBA has held its annual World Cup show in Las Vegas at the South Point Hotel & Casino. This event has become one of the premier purebred Arabian horse shows in the world. With Las Vegas as the backdrop, the event is truly an international horse show that unites breeders worldwide. 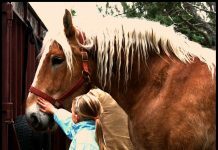 It showcases the natural beauty, nobility, excitement and unique characteristics of the Arabian horse breed and provides a lively and entertaining experience for spectators and exhibitors. The goal of the World Cup is to introduce new people to the Arabian horse and to provide opportunities for them to get involved in the Arabian horse industry. The Arabian Breeders World Cup features a showcase competition for purebred Arabian breeding classes. These breeding classes are conducted in the European style using the World Cup Scoring System. 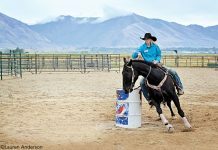 Through the use of the European style of showing, the show emphasizes a more natural way of preparing, presenting, and showing the horses so that their true Arabian spirit shines. In addition, the European judging system is more transparent since each judge is required to display the scoring results to the audience after each horse is judged. As a result, the spectator can be more involved and can better understand and appreciate the attributes that the judges are appreciating and those that they are not. The show features 5 International judges, a true mix of the best from America, Europe and South America, with the goal of achieving the highest possible standards of judging. I am definetly going to look for this on TV! Arabians ROCK! Wish I could go!